BOSTON (Reuters) - Viacom Inc said on Friday it cut the pay of its 92-year-old Executive Chairman Sumner Redstone by 85 percent to $2 million last year in light of his "reduced responsibilities." In a securities filing, the media company also said the total compensation of Chief Executive Philippe Dauman was $54.2 million for the fiscal year ended Sept. 30, 2015, up from $44.3 million in the previous period, although his bonus payment was reduced at his request. 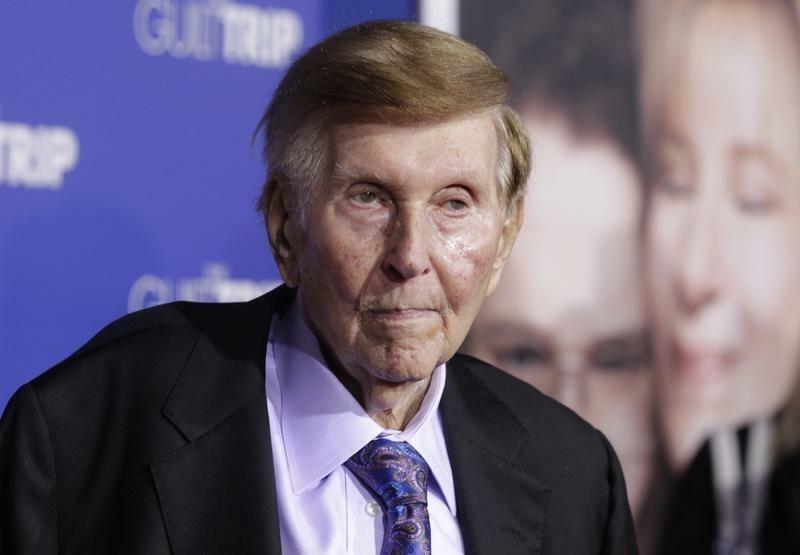 Viacom (VIAB.O), whose networks include Comedy Central, MTV and Nickelodeon, has faced growing concerns about the health of Redstone, its founder, and his fitness to oversee the company. A Viacom spokesman said on Friday that he did not have more details about how Redstone's responsibilities had been reduced. The details in Viacom's annual proxy filing covered a period in which its shares fell sharply amid criticism of its generous executive compensation and its corporate governance practices. Viacom said in the filing that the total pay of Chief Operating Officer Thomas Dooley fell to $29.4 million from $35 million in the prior year. Dooley's employment agreement is due to expire at the end of this year, which has raised questions about whether he will stay with the company. CEO Dauman's pay for 2015 included a stock award worth $17 million tied to a contract renewal. Dauman's bonus was $14 million, down from $20 million the prior year, while Dooley's bonus was $11.2 million, down from $16 million in the prior year. Viacom had outlined some of the pay changes on Jan. 20.